Online food ordering system has reformed the food order by helping the customers to order food at their convenience. These application has eased the food ordering process in a way that as a customer one doesn’t need to visit or call the restaurant. The person can stay at their comfortable location, and the order is delivered. Since the system is well maintained and error-free; customers are served with the exact requirement with 100% billing which is not in case of many vocal orders. So an online food ordering system makes it more convenient for the customer as well as for the restaurant. With the user-friendly design it is easy to notice the change in order moving to bulk orders for parties and other celebrations using the software. With food delivered at doorsteps within a few clicks, reorder, and regular customers are more from the software compared to the in-person system. The in-person system needs many major requirements like a place to sit, air-conditioner, fan, etc. But our software system of food at doorsteps needs only a kitchen to cook. We can create a one-stop shop for all the restaurants with Menu updated every minute. Updated Menu system helps to know the out of stock menu items, and customers are aware of the food availability. This results in a cheaper cost for the restaurants regarding workforce and telecommunication. Our software system tracks the user food habits and patterns to generate the computerized database. This database can then be used to advertise by the restaurants. What do the customers feel about food at doorsteps in a few clicks? It is highly rewarding to see customers at delight as it is highly flexible to change order at any moment unlike, direct restaurant orders where you are forced to have the law once you’ve ordered for it. The User-friendly feedback system is customer centric with a summarized bill of transport charges, and restaurant bill is nominal. This helps the customers to have the upper hand over the restaurant with unsatisfied customer feedback being delivered straight to the respective restaurant. With effective communication and clear order deliveries, it is easier for a restaurant to keep their customers satisfied. Why is online food ordering from our app more personal than any previous system? Ordering food online is personal than any other previous system with personalization provided to customers. With Menu updated every minute, it is easy for customers to personalize their dishes and combinations. Our system serves as a medium for customer engagement. The simplicity is in the ease to set up with no installation charges and maintenance cost. Our custom designed app provides a customized platform to all operational restaurants manage customer requirement anytime and anywhere. 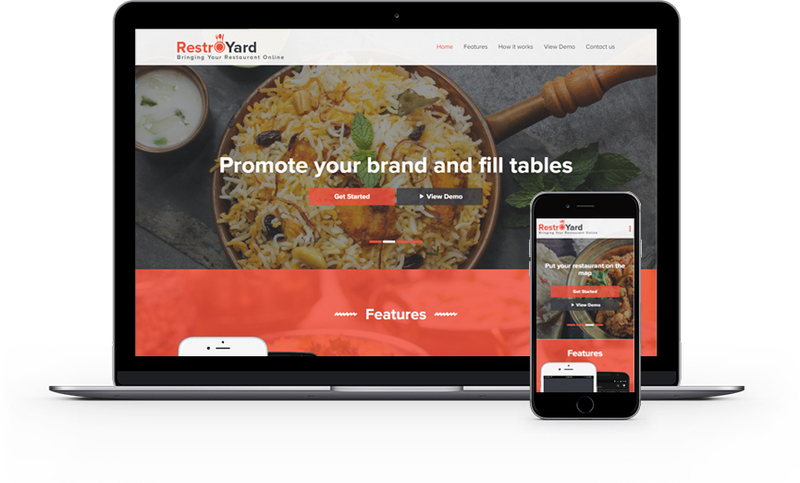 As a restaurant, you don’t need to look any further for promotions as all of the advertisements can be achieved within the software to attract more customers and become one of the best in the market. The valuable data of all the customers will serve you to know your customers better and serve them better. So, put your restaurant on the map and start serving hungry customers who are craving your cuisine within few clicks. So let’s bring all the restaurants into the Digital World as an online food ordering platform. Our system is device friendly that allows customers to place orders directly from your website, Facebook page, Instagram profile, and custom-built mobile apps. Get your customers directly on your website instead of some third party website. So don’t worry about the advertisements and start worrying about the number of order and growth of your business. Keeping the bus in the best shape and safe to drive requires investment, both in time as well as resources. Doing the same for an entire fleet of buses seems to be a difficult task. Multiple tasks like scheduling, routing, tracking and reporting combined with various numbers of buses to the mix and it’s easy to see why transportation departments are turning to technology to help them manage their fleets. Most of the school students are dependent upon school buses for transport to school, field visits and more. Multiple reasons like late pick-ups or drop-offs, unauthorized route changes, and maintenance woes can wreak havoc and leave parents, and school officials are demanding for change. The use of a School bus management system has reduced such common problems and increased their overall efficiency. Switch to a paperless filing system. The paperless filing system is better for the environment, and it’s easier to find. Documents like Reports, employee files, permission slips, and route maps can be stored in the cloud. Having a school bus management system can save time with quick and easy access to information from multiple locations. Innovation currently exists that helps transportation department to stay aware of fleet management tasks with ease. Automate the fleet management system at school and set the preventive maintenance schedules to send notifications for maintenance. These systems are currently so refined that with a couple of keystrokes you can track inventory, see evaluating data, and arrange for dispatch. You can likewise effortlessly figure out which parts were introduced on an individual vehicle. Specialized meters are matched with the software to send cautions alerts for disparities in mileage and more are found to support staff. Make tracking easier with GPS systems. Almost every technology users are familiar with the system of GPS which helps the drivers to get where they’d like to go. 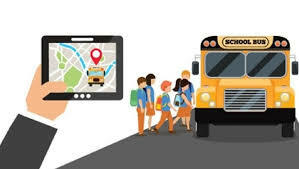 This system as a whole incorporated within the School bus management system can help to transport and manage the school bus fleet in several ways. Monitoring of buses can be done on a real-time basis and keep them updated with unauthorized stops, routes and any other signs that can cause deviations in the safe journey. Better utilization of such software is during the time of urgency to dispatch the closest bus based on tracking capabilities. With the system of RFID, the bus management system can be taken to the next level. As a big relief for parents, teachers and administrators with monitoring of student ridership. With the issuance of RFID cards for each student, it will be easier to track the entry and exit of students in the bus. If you are looking for more specialized transportation software to solve your school bus fleet issue, reach out to our PointMatrix IT Services team. We will be happy to know you better and help you in developing a customized school transportation program for you. Fleet Management is one of the important business today as significant expenses of the market are incurred on purchase and maintenance of vehicle in the long run. This has made many IT companies curious to develop software’s that help in monitoring the wellbeing of the fleets. Today’s software for fleet management is powerful, versatile and agile to meet the growing business needs. At PointMatrix, we have scalable, effective GPS tracking and Fleet Management software that helps our clients to understand most out of their fleet. This helps in maximising the limited budget by improving efficiency and safety. In today’s machinery world it is essential to know the vehicles location and its safety irrespective of it being a fleet of tow trucks, utility trucks or service vehicles. Monitoring and maintaining will only help in keeping the fleet safe and efficient. GPS tracking and Fleet Management software from PointMatrix provides all these benefits to help you run an efficient fleet on the long run. Our robust GPS tracking and Fleet Management is full-featured commercial software that provides Fleet Management at figure tips. • Vehicle tracking Android and Apple apps. • Software system programmed to send fleets tracking information to phones and tablets. Compare GPS Tracking Software Companies before making your decision. • Does the company sell the system own the fleet management software? • Is the company relying on the third party to provide any functionality? • What if the third party stops the support? • Does the software provide real-time tracking or only historical data? • Verify their business tenure, their track record and customer base. • Are the GPS tracking and Fleet Management software scalable to multiple vehicles? Will it be efficient in tracking 25 to 50 cars? • Are the details provided by the tracking software real-time, map rewind, mobile app, driver ID verification and other must be needed for monitoring feature? Get the best in Industry safe experience by reassuring safety of the drivers while commuting with real time status visibility. Get access to dashboard with full visibility of all your transport providers spread across in a single window. This help to analyzing their performance of each transport providers and know your vehicle utilization. Dashboard is user friendly with easy navigation between menus for real time updates and quick follow up. 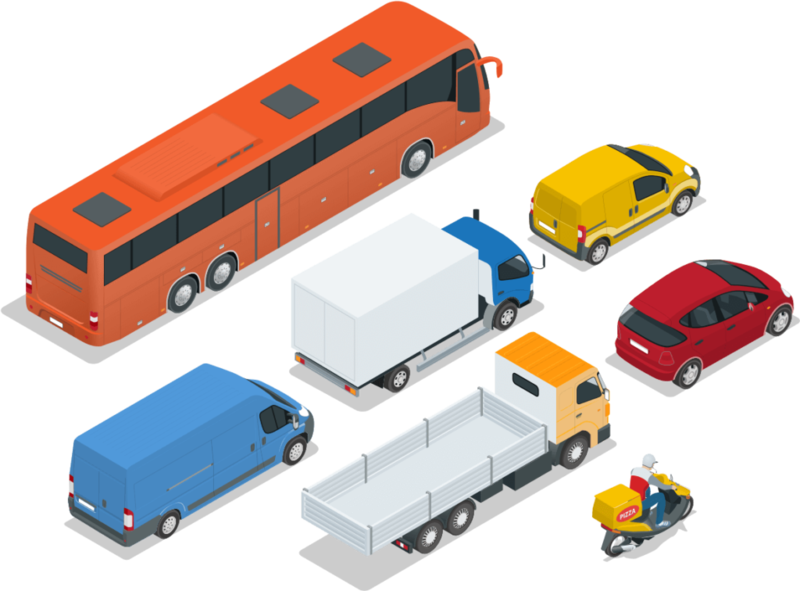 Our GPS tracking and Fleet Management Software thus is a solution for affordable rides by choosing the right routes with live GPS tracking for safety. Don’t look further as we offer GPS tracking and Fleet Management software that is scalable with the features supported to meet the needs of the small – medium & large sized business. Send a quick message to us from our Contact Us Page and let us guide you further with a demo. We understand the pain behind finding and booking sports facilities. The process is time-consuming and frustrating for players who want to spend their time on the ground rather than seeing their perfect sports arena to play. Most of the sports players don’t have the easy access to information about booking a sports arena. Frustration increases with the slow responses and unanswered enquiries in booking abandonment. This results in less game played and more frustrated players. community players. The sports industry in itself lacks behind when it comes to keeping up with the on-demand economies. On-demand requirements include accommodation, travel, dining, retail and more than public aren’t aware about. Thus making the sports arena owner lose potential customers. Managing sports arena online can get the people involved in sports and know the where about facilities nearby. How do we solve in managing sports arena online? PointMatrix offers easy booking management and marketing management system. This provides an effective way to streamline in managing the sports booking while increasing revenue. The software is developed with a user-friendly approach to simplify the booking and ensuring the availability of the nearest sports arena. This reduces the frustration among the players with ease of accessibility of sports arena and increase in playtime. Our sports facility management system is customized with the needs of our multiple clients from Gyms, training centers, swimming pools, indoor and outdoor courts, and more. Our sports management software is with all the tools and features to manage bookings, create schedules, review reports, payment processing and thus establish and grow the relationship with their clients. PointMatrix custom designed app as managing sports arena online specializes in professional convention center maintenance and sports facility management. We believe in creating a memorable experience for business success. Our software helps in making the impression last longer at your convention center or sports venue. Its starts from parking management and daily maintenance routines to event set-ups and cleaning to create a world-class environment. Keeping the audience enthusiastic keeps your guests coming back time to time. Be rest assured that we understand every Sports arena needs and offer a professional workforce combined with proven sports facility maintenance processes and leading-edge technology. Our backbone of onsite maintenance personnel ensures that support equipment and systems are maintained in good working order and that repairs or damaged equipment is resolved as quickly as possible. We and our team of professionals are her to help from appliance and equipment repairs to plumbing and electrical failures to more technical generator service and maintenance. Over the year taxi drivers have provided exceptional service. They served their duty with honesty, patience and politeness and have gained trust among the locale. With the emerging technology, commuters has advanced over time in search of hassle free ride. Today commuters look for catching taxi from doorstep with an option of exclusive online transaction. Driving a taxi and trying to satisfy all the emerging commuters’ requirement is tedious till recent years. 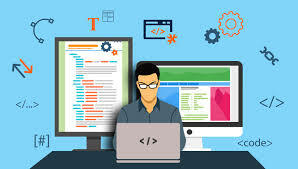 We at PointMatrix have taken this requirement as our priority and have come up with a customisable solution based on requirement. Today we have made it possible to book and get cab at your doorstep. Catching a taxi from doorsteps at your convenience within clicks is the latest trend. Taxi dispatch system has resulted in serving the customers quickly and efficiently within a few clicks from the mobile phone. Now people from all over the world are finding it comfortable with the ease of booking a taxi to pick them up at the doorstep. However as an owner of a few fleets of taxis, you might be thinking – is there a need to have your taxi dispatch software. Will we be able to compete with the industry leaders like Uber, left and Hailo. Here we are to show you that now is the right time as more and more customers are looking for convenience and safety. Ultimately it comes to catching a taxi from doorsteps for their convenience within few clicks. PointMatrix can help you design one such app to have a cab at the doorstep in few clicks. The app is simple by keeping all the users in mind. Past taxi app companies has shown us the potential from our market, and an app from PointMatrix is all set to dominate this ever-growing market. Trust us if your business has the potential to combine trust and loyalty with technology, believe that you will undoubtedly find success. The market is growing with the increase in the adaptation of technology among the population day by day. What people want from a taxi booking service is a quick and safe taxi booking service that picks them up at their doorstep. As a taxi business owner, you are longer constrained to do the manual work of managing the fleet. Connect with us and get the right solution that will help to the monitor and maintain your fleet of cars along with your customers. With the development of your taxi dispatch software solution, you can give your customers the ease of technology to leverage your taxi booking services. Software to catch a taxi from doorsteps for your convenience within clicks is for the betterment of customer service by streamlining the operations of booking a cab to invoicing and managing payments. The ready to use software provides a real time GPS tracking of drivers and employees throughout the ride. Our taxi dispatch software is a sure thing to bring delight to the customers with full visibility of their ride status. As this helps them to make last minute change requests from our easy to schedule and dispatch portal on the go. Our dashboards provides customized reports with auto scheduled emails to relevant partners of the business. We are sure to bring in revolution with our complete end to end automated platform and help to catch a taxi from doorstep for your convenience within clicks.